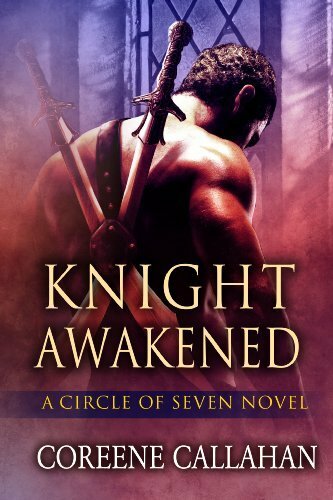 This book by Coreene Callahan was initially found through a recommendation of Knight Avenged, which is Book Two in the series. I loved the trailer. An excellent mix of sound and song to stir the blood allowing you to commiserate with their distress. Plus, I was very impressed with their use of effects to make the pictures seem more dramatic and alive. This led me to discover Book One. Me being a creature of habit, I must read them in order. So, I will be reviewing both books for the website. While this video wasn’t as inspiring, I couldn’t ignore the first book in the series. You have phenomenal sexual tension between the two characters, and I love the action scenes. Throw in a prophecy, some dragons and a bit of mysticism and you’ve got this book in a nutshell. The author’s vivid scenes draw you in with each twist and turn. An awe-inspiring feat that many authors find difficult. Her world building skills are enough to leave even the most skeptical going wow. Her fighting scenes are an originality I rarely see in romance novels. The antagonists consist of two men that aren’t connected. One is greedy and tenacious while the other is just pure evil. One the heroine’s enemy, the other our hero’s. There’s a darkness that surrounds the story, but yet she allows a gentle light to seep in giving you hope for something better. That wonder of what will happen next is what pushes you forward, to find out what new adventure they face. Some Hmm Moments: I found myself questioning a few events. Like where did the child go? After certain events, she just kind of disappears from the book. Or why did one of the two antagonists hire assassins if he wanted her captured? Just a few oddities I seen in the tale. I read some of the other reviews and I noticed more than one complaint about the whole “traitor in his trews” line. I have to say I enjoyed that visualism. Though, I don’t mind a bit of nasty talk, from time to time it’s refreshing to see it phrased this way. I give her extra points for her play on words. My Favorite Character: Though, I liked most of the secondary characters, my favorite was Henrik. You knew from the first meeting there was more to him than what he showed his comrades. I’m very much looking forward to reading his story. I loved the connection between the two main characters. Though, Afina’s constant negativity is grating at times together they just worked. Her insecurities mixed with his tough, no–holds–barred attitude just worked. She was the softness that he needed, while he was the strength she yearned for. Together they made each other whole. The one thing that really impressed me about Afina was her strength, when it mattered. She was hard on herself and woefully insecure, but when she needed to fight, she did what she must and refused to back down. It was an admirable quality, to my way of thinking, and I enjoyed the grittier side of her nature. Overall this was a great fast paced story with lots of action and a fair amount of sexual tension. It’s definitely more fantasy than historical with the dragons and sorcery. Still it was a great read and I would not hesitate to recommend it. I give it 4 hearts.